Providing accessible transportation for people in Renfrew and area who are living with disabilities that render the use of conventional modes of public transportation inappropriate to their needs. 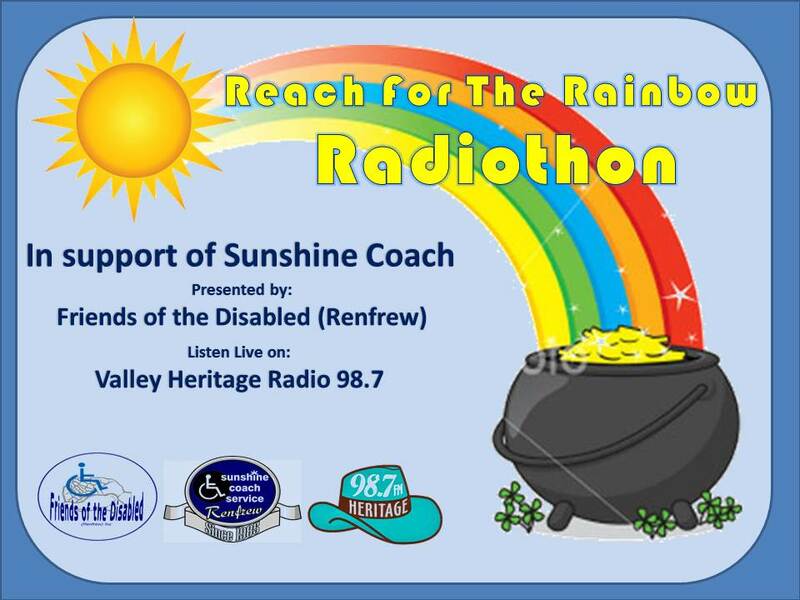 Renfrew & Area, we appreciate your support!!!! Friends of the Disabled (Renfrew) Inc.
Sunshine Coach (under the auspices of our charitable organization Friends of the Disabled (Renfrew) Inc.) accepts donations online through CanadaHelps.org, a charitable organization registered with Canada Revenue Agency which provides secure processing for major credit cards and provides immediate charitable receipts via e-mail. Please click the Donate Now Image below to make a donation! 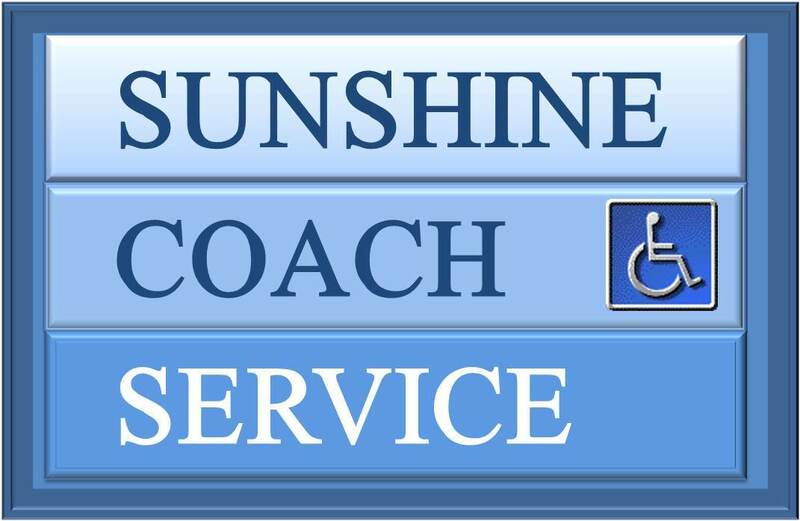 Sunshine Coach is proud to be the Accessible Transportation Partner for the Town of Renfrew, the Township of Admaston/Bromley, The Township of Bonnechere Valley, the Township of Greater Madawaska, the Township of Horton and the Township of Whitewater Region.